For those wanting to get some ink for the first time a great idea might be to start off small before working your way up to bigger pieces. If you’re thinking about getting a small tattoo, why not invest in some artwork for your fingers? 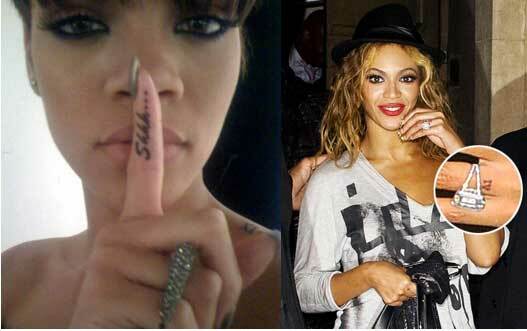 It’s the latest celebrity trend taking Hollywood by storm, with the likes of Rihanna, Miley Cyrus and Beyoncé all sporting some funky finger art! This style of ink may be more suited to girls who have been dressing up their fingers with rings for centuries, however guys are also not limited to this kind of ink if done correctly. Check out these great small tatt ideas for your fingers below!